Is the emerging outpatient model of the patient-centered medical home (PCMH) - or "health home" as some prefer - an environment in which integrative team-based practices can flourish? Will integrative health and medicine prove themselves better in this environment than in straight fee-for-services practices? Will the field advance more rapidly if more integrative medicine clinic leaders apply themselves to working in these environments? Shortly thereafter, I became aware of the work of David Fogel, MD and Ilana Bar-Levav, MD, to model a PCMH via their not-for-profit Casey Health Institute. This four-part series, included as Part 2 of this piece, begins to document the processes in their rapidly expanding center. Casey Health Institute: EVP/COO Tracey Gersh, PhD on Bridging Integrative Health into a PCMH and Accountable Care (November 2015). Not long after I learned about Casey's plan, I heard rumor that in Vermont, naturopathic physicians were being approved to run PCMH's in that state's reform plan. Then parallel news broke in the state of Oregon. Part 3 of this series continues with portraits of a Level 2 PCMH in Vermont led by Lorilee Schoenbeck, ND, and a Level 3 PCMH in Oregon led by Martin Milner, ND. In 2011, integrative pediatrician Larry Rosen, MD and I signed on to deliver a session at the 2012 Integrative Healthcare Symposium on integrative PCMHs. Rosen knew his content cold: at the time he was immersed in exploring it for his pediatric practice. I got on the phone with some of the pioneer's in integrative practice to get their perspectives. Among these were Tom Trompeter, CEO of Healthpoint, the now 12 clinic federally qualified health center (FQHC) outside of Seattle, and integrative center entrepreneur on the island of Oahu, Ira Zunin, MD, MBA, MPH. These are interviews from that time. Some integrative medicine leaders view the patient centered medical home (PCMH) as an optimal environment for expressing an integrative practice. Obama's Affordable Care Act included specific language that invited operators of PCMHs to include chiropractors, and licensed complementary, alternative and integrative practitioners. An exceptional resource in this area is Tom Trompeter, MHA, the CEO of Healthpoint. The 12 center network, formerly the Community Health Centers of King County, is not only quite advanced in its development of what Trompeter prefers to call a "patient-centered healthcare home." For 15 years, Healthpoint has included diverse natural medicine offerings such as acupuncture, naturopathic medicine, massage therapy and behavioral health care. Trompeter offers his reflections on the nature of the PCMH paradigm and what it asks of both practitioners, and those who would educate them for participation in this emerging model. A leader, if not the leader, in implementing an integrative PCMH model is the Oahu-based Manakai O Malama Integrative Group and Rehabilitation Center led by Ira Zunin, MD, MPH, MBA. In this interview, Zunin describes the challenges and benefits of the new payment and electronic medical records initiatives his center has engaged in partnership with HMSA, Hawai'i's dominant insurer, and with the state's leading hospitals. Zunin, the sometimes consultant, also offers his perspective on whether the 5-practitioner integrative clinic model proposed by Integrator adviser Bill Manahan, MD can work in the emerging PCMH environment. The Gaithersburg, Maryland-based Casey Health Institute (CHI), is pioneering the development of an integrative patient-centered medical home. These four articles provide: 10 an overview of the multi-practitioner center (integrative MD, LAc, ND, yoga therapist, nursing, plus); 2) an examination of a strategy used to enhance interprofessional awareness and team care; 3) the views of an acupuncture and Oriental medicine professional who also doubles as a tech leader in pulling the systems together; and, 4) the perspective of the CFO on steps being taken to formally commence the process. CHI is led by David Fogel, MD and Ilana Bar-Levav, MD. This article was first published in the June 2015 Integrator Round-up. At the time of the interview, CHI had "met almost all of the criteria for a Level 3 PCMH." The Center employs four primary care integrative medical doctors, one nurse practitioners, two licensed acupuncturists, one naturopathic doctor, two psychologists ("we do a lot of mindfulness, and mind-body work"), a full time Reiki master/massage therapist, a full-time Yoga therapist, a full-time nutritionist, and a full time nurse care coordinator. "We're spending enormous time and effort to get highly-coordinated processes down to operationalize true collaborative, integrative health." The comment was made by Casey Health Institute (CHI) co-founder David Fogel, MD. One unusual method CHI is using to create these teams takes from unusual sources -- the "discipline" of match-making plus that of co-counseling. They call it speed-dating and the interprofessional CHI team practices it every Thursday morning from 9:00-10:00 AM. 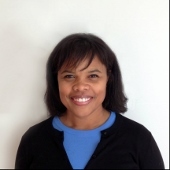 This interview with CHI integrative practitioner Nicole Farmer, MD looks at the methods, benefits, challenges and applications of this strategy and includes a perspective that the strategy may be of great use even if no integrative practitioners are involved. 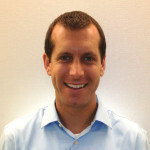 I initiated this interview with Cory Jecmen, MAc, LAc by noting how unusual it is to find the same individual wearing the dual hats of clinical acupuncturist and electronic medical record (EMR) techie. It's rare enough to find an acupuncturist in a patient-centered medical home (PCMH). Jecmen laughed, reflecting on the integrated environment of which he is part at Casey Health Institute (CHI): "You could probably use all fingers to list my roles." Jecmen, whose professional background includes undergraduate studies in biology and chemistry, plus work as an acupuncturist with the Veteran's Health Administration, describes in this article his experience in helping to shape the CHI initiative. The executive vice president and COO of the Casey Health Institute (CHI), Tracey Gersh, PhD came to the ground-breaking, Maryland-based integrative health center from roles as administrator and program developer at a nearby federally qualified health center (FQHC). In this article, Gersh describes the movement of CHI into becoming a patient centered medical home recognized by Care First, Maryland's Blue Cross/Blue Shield firm, then its move to become part of a new accountable care organization, Aledade, with a set of 5 other primary care clinics. She speaks to the differences between CHI and the Federally Qualified Health Center where she previously worked. The transition for naturopathic physician-led clinics to the PCMH model holds many lessons for any integrative practitioner who would choose to explore this direction. At the same time, the shift from being more outside the system to such deep embedding in a quickly evolving practice has its own challenges, and opportunities. So, for, in each of these centers, the transition is going well - for patients as well as practitioners. This series is produced as part of a partnership between the Project for Integrative Health and the Triple Aim (PIHTA) and the North American Board of Naturopathic Examiners (NABNE) for which the Integrator is providing media support. 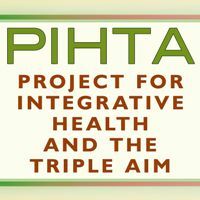 The goal of the PIHTA-NABNE partnership is to stimulate understanding of naturopathic integrative patient centered medical homes (PCMH) via portraits of clinics in Vermont and Oregon. The news could surprise many. In the state of Vermont - as in Oregon - naturopathic physicians can, and do, operate accredited primary care medical homes (PCMHs). In Vermont, naturopathic physicians do so following a steady stream of up-regulation over the past 20 years. Licensing. Recognition as part of the state's primary care matrix. Insurance coverage. Medicaid inclusion. Most recently, in 2011, inclusion as accepted owners and operators of PCMHs under the state's single-payer style Vermont Blue Print for Health - and 2013, the first PCMH designation. That designee was the Mountain View Natural Medicine center in Burlington. 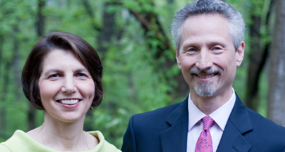 The pioneering force behind this opportunity in Vermont is naturopathic physician Lorilee Schoenbeck, ND. Her center is presently a Level 2 PCMH under a system of scoring carried out by analysts from the most significant accreditor of PCMHs nationwide, NCQA. In this second of a two part interview with pioneering naturopathic patient-centered medical home (PCMH) operator Lorilee Schoenbeck, ND, the focus turns to the prevention and quality improvement initiatives in place at her center, Mountain View Natural Medicine. Here is a look at the initiatives in immunizations, obesity, colonoscopy, dyslipedemia and more in this NCQA-scored, Level 2 PCMH. Martin Milner, ND, founder the 6,500 square foot Center for Naturopathic Medicine as a beacon of light in a dark age for his profession over 30 years ago. Three years ago he chose to move the 12-pratitioner center to become what it is now: a Level 3 certified a patient-centered primary care medical home for Care Oregon. In this article, Melissa Porter, the center's chief operations person and quarterback of the transition shares the store of the changes made, and early outcomes.